Home / Who Are ProGARM? 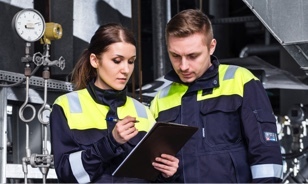 The dangers of Arc Flash incidents and protecting your team with specialist Arc Flash, Flame Resistant and Anti Static clothing has never been as front-of-mind as it is today. And that prominence will only increase over the next few years. Of course, understanding the risks to anyone working in power generation, petrochemicals, on the railways, in an industrial electrical environment or if they are breaking ground for a utility business is a fundamental part of your role, as is understanding how best to mitigate those risks. With multiple cable strikes every day in the UK and numerous major Arc Flash incidents too, businesses are looking at how best to protect their team with the right Arc Flash and Flame Resistant protective garments. Garments that are proven to significantly reduce or even totally prevent injury; and garments that save lives. What’s our recipe for success? Well, we don’t see it as rocket science – it’s about taking fine words and making them a customer reality. Being family and privately owned means that we make decisions that are customer centric first. We make decisions that are good for you and our business, and not to satisfy a short-term financial stakeholder agenda. Our focus is simple: Put the customer first, run an effective business and create one that is committed to the family values of trust, integrity and support. We have the right people with the right skills, committed to doing an exceptional job for our clients and delivering a fabulous customer experience. We have a culture of keeping our promises and working at ProGARM is to be part of something very special. Because we’re 100% focused on Arc Flash protection our Design and New Product Development teams are too. They understand Arc Flash intimately and so we innovate faster and more regularly. Innovation isn’t only in our products though. Every area of our business in encouraged to develop and innovate to make our business and your experience better and better. We’re setting the benchmark and others are running to keep up. That means we can be confident in the quality and performance of every garment to perform and keep your team safe. Garment traceability together with ISO 9001 and further Article 11B accreditation are testament to our quality controls and processes. When lives are at stake why would you want to compromise? 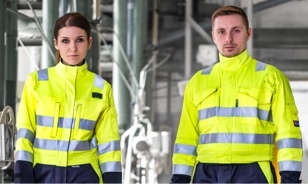 Choose a ProGARM garment and your team can have fantastic safety and protection, industry leading comfort and design plus outstanding quality and durability. 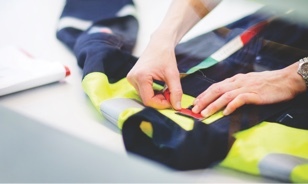 Our garments are the cost-effective choice, and all this is delivered by a team of Arc Flash specialists with great technical expertise and sector knowledge. Remember ProGARM don’t make garments for anyone else. So, if it doesn’t say ProGARM, it’s not ProGARM. We’re 100% focused on Arc Flash and flash fire protection, and we’re the only people in the UK that are true specialists in Arc Flash. Not all fibres are created equally. Our unique VSX+ Fabric is 100% inherent, ensuring protection for the life of the garment. Our Arc Flash garments last up to 70% longer than other leading brands and our Lifetime Seam Guarantee underlines our confidence in our garments. We use only the best components to ensure that no part of a garment is left vulnerable. Comfort isn’t everything, but it helps. Workforces are more likely to wear Arc Flash and Flame Resistant protective clothing if it’s comfortable so we’ve made ours as comfortable as wearing pyjamas. No one is innovating faster than ProGARM. We believe that you can always make a good thing better so we’re always working on the next generation of Arc Flash protection. We don’t make garments for anyone else. Others may suggest that their garments are as good as ProGARM’s and some even copy them too. But as in all things, beware of cheap imitations.